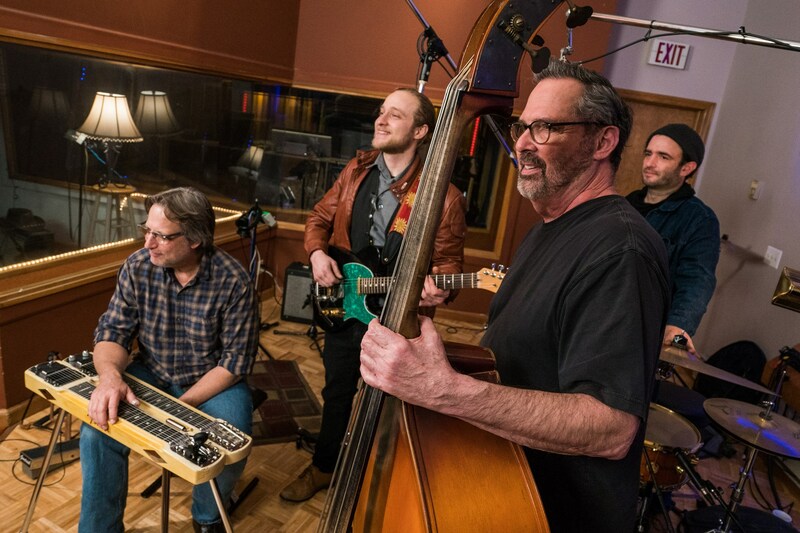 Aaron Lipp & The Slack Tones return to Ithaca with a whole new lineup - featuring Tom Gilbert on Drums (Donna The Buffalo), Brian Williams on upright bass (Bobby Henrie & The Goners, The Djangoners), and Gary Meixner on lap steel guitar (Colorblind James, Skiffle Minstrels). With a brand new batch of music we are excited to bring it down to Tompkins County! Legendary Banjo player, singer and songwriter RICHIE STEARNS will open the show teaming up with Aaron Lipp for a short set of acoustic banjo/fiddle/guitar duets of original, traditional songs and fiddle tunes. Don't miss this unique billing and Ithaca appearance! Come dance the night away, swing your partner and have a rockin' good time.